The rapper is the latest addition to the curator line-up. Just when you thought your Christmas wish-list couldn’t get any bigger (several sides of A4 is a normal amount, right? ), your fave trainer designers come back with a brand new curated line-up that you’re gonna want to instantly get your hands on. Recruiting East London rapper Kojo Funds to lend his creative vision, the new SWEAR offering sees the pair introduce a modern take on the classic lace-up sneaker. Infusing styles of the exotic, the collection boasts ostrich, python and crocodile in black and red colours, and they are amazing. 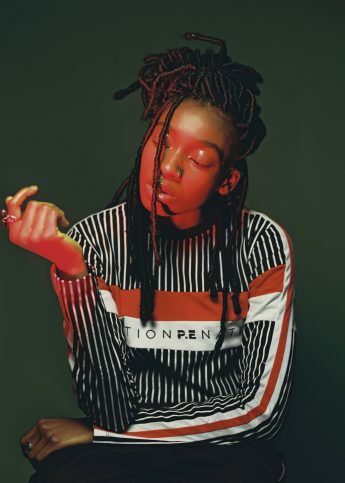 Available now to grab as that last minute Christmas present (or, ya know, just as a gift for yourself), Kojo joins the likes of will.i.am, Siobhan Bell and Leomie Anderson as a SWEAR curator, with more team-ups due in the new year.